Basic Troubleshooting Tips for HP 564XL Ink Cartridges | TonerGreen - Eco-Friendly Toners from the U.S. The HP 564XL ink cartridges is a set of four inkjet cartridges composed of HP CN684WN black ink cartridge, HP CN685WN cyan ink cartridge, HP CN686WN yellow ink cartridge and HP CN687WN yellow ink cartridge. And for today's article, we're going to give some of the usual errors and basic troubleshooting procedures on HP inkjet printers that uses HP 564XL inks. When this message pops out of your screen when you have just installed a new HP 564XL in your printer, just press OK. You can either choose to ignore this error message and continue printing, or go to your Printer Setting and disable the printing status to stop the message from popping out from time to time. This error message usually shows when you have installed remanufactured ink cartridges. You can just select OK and proceed on your printing job. The printer will still continue to show the error message. To stop this, go to your Printer Setting and disable the printing status to stop the message from popping out from time to time. When you have installed new ink cartridges and this message appears, ignore it and always click OK. The printer will still print your documents and operate normally. 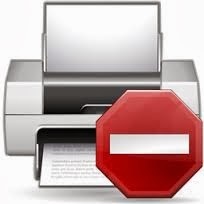 If you want to stop the message from popping out of your screen, go to your Printer Setting and disable the printing status to stop the message from popping out from time to time. 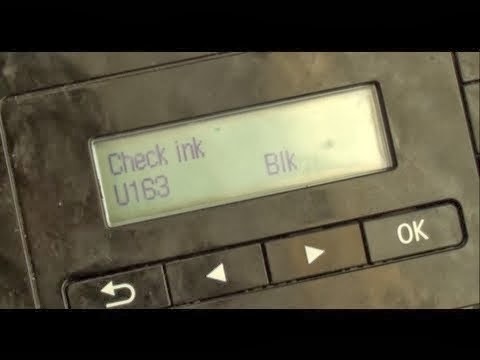 Problem: How will the user know that the ink cartridge is already out of ink and if the message just pops up because the chip in the cartridge has not been change. Since the chip has been reused mostly in the case of remanufactured ink cartridges and you can't reset the ink cartridge, the printer will keep sending notifications that the "ink level is low". You can stop this by going to your Printer Setting and disable the printing status to stop the message from popping out from time to time. 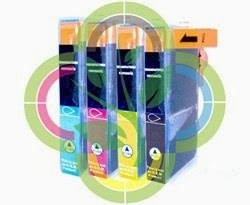 To tell if the ink cartridge is already about to lose ink, your printouts will lighten up and will look kind of faded. Problem: Will the print head of the cartridge burn out from low ink level? No, it isn't possible for the print head to burn from low ink level. Although if you left an empty ink cartridge in the tray then there is a larger possibility the electric contacts in your cartridge tray will be clogged and you will have a problem the next time you print. To fix this, all you have to do is to clean the printer nozzles and the electric contacts.